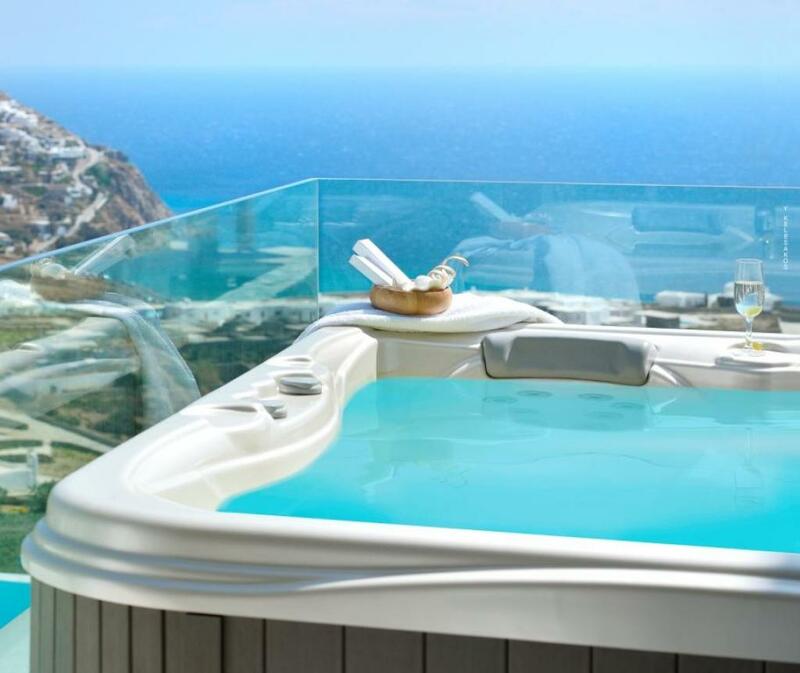 Breathtaking views in Mykonos ! A designer luxury summer villa. 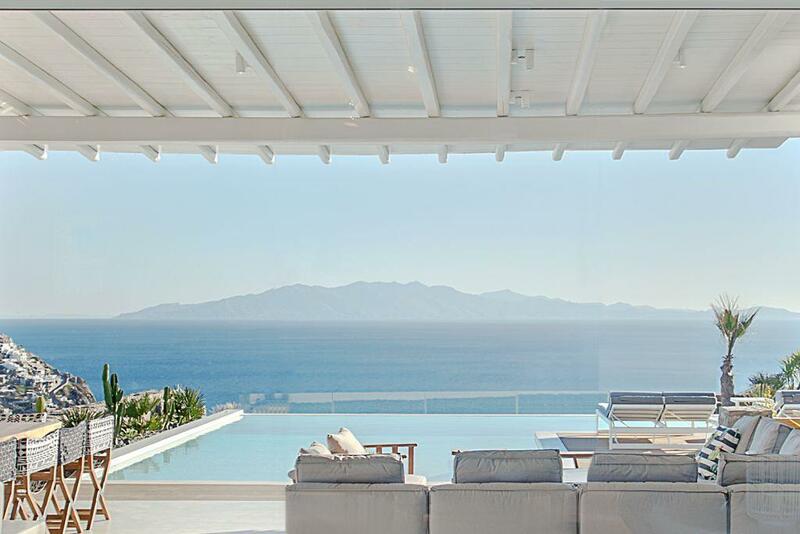 Villa Sazerac in Mykonos island, is a brand new luxurious villa with a contemporary “clean-cut”design and a quality internal deco, creating a unique lifestyle environment. The villa offers spacious accommodation throughout, with 7 en-suite bedrooms, various external lounge and dinning areas, with a large infinity pool that is the focal point for a true summer experience in Mykonos island. Villa Sazerac is set on a large private plot of 2000 sq.m. with landscaped gardens, offering privacy and relaxation. A wealth of amenities is available to guests, such as BBQ, Jacuzzi, Sauna, Gym, Home cinema, Playroom and a high fidelity audio system. Located in Elia area, it offers breathtaking sea views over Elia beach and a feeling of hovering in the sky. The villa’s location offers easy access to Mykonos town, the picturesque village of Ano Mera, the airport and to Mykonos beautiful beaches of Elia, Kalo Livadi, Agrari and Kalafatis.